Ever heard of the saying, “With language, you are at home anywhere!”? Meet Pallavi Singh who helps those who wish to feel at home in India by teaching them Hindi. 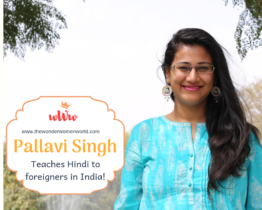 Pallavi, who has studied an interesting combination of engineering, psychology, counselling, French teaches Hindi as a foreign language to visiting / working expats and foreigners in India. 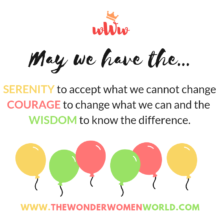 She has been teaching since 2011 and has seen her share of struggles and achievements but calls it a very fulfilling experience. Her method is pretty simple, she starts with the basics of the language and builds up the pace based on the comfort and requirement of the student. She elaborates, “For example I have a few students engaged / married to Indians, hence their need to learn to speak a native-level Hindi is higher. Then I have students who are here for say a year and would just like to know “ready-reckoners” to get by. I also have some serious Indo-philes and students who love learning languages (generally) who really put in the efforts irrespective of the duration of their stay. It’s a diverse mixed set to be honest.